There are few things in life as exciting and satisfying as creating something; one popular form of creation is homemade batteries. Remember the thrill you first got when you created electricity with some rubber, wires and a lemon for an elementary school science fair project? There are few things as mystifying and awe-inspiring as the creation of electricity. There are many ways to make a battery from household products. All you need are a few pieces of metal and a conducting source (like a solution). 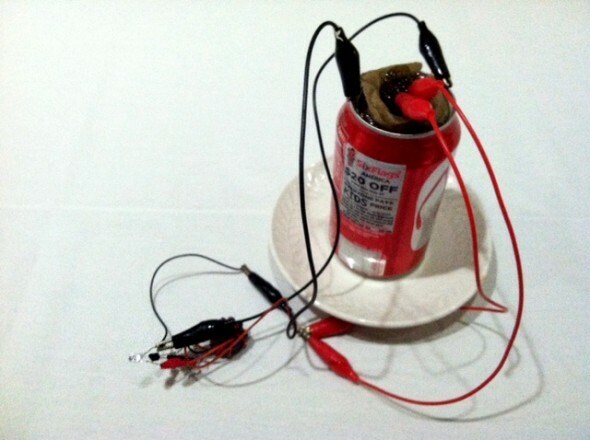 One of the simplest homemade batteries comes in the form of a soda can. You place the copper into the soda, and you place a strip of the aluminum can into the soda as well (you will need to rub the paint off the soda can with some sandpaper, as the paint will deter the conductive properties of the metal). This battery will produce about .75 volts, which is not much, but will prove entertaining. Another popular and easy-to-make homemade battery is the zinc-air battery. Zinc tends to be one of the most conductive types of metal for homemade batteries and can be obtained through a hardware store, specialty shop or via the Internet. For the conductive solution, you will need a small dose of salt and a cup of water. The zinc will oxidize when placed in the salt water solution, which will create electricity. Technically, a battery is two or more cells, and the examples given so far are one cell, so they are technically called “cells” and not batteries. Although, you can connect two of these cells together and you will have a battery, which can, if done correctly, run a small item like a calculator or a small LED light. In order to power something larger, all you have to do is keep adding these cells together and connect them via copper wire until it powers the item. The possibilities are nearly endless. There are other little tricks that can be done to increase the amount of electricity produced by the homemade battery. Adding a bit of hydrogen peroxide to the solution or chlorine bleach to salt water will increase the voltage produced by the homemade battery; however, hydrogen peroxide is much safer than chlorine bleach, and the smell is less potent. If you cannot get your hands on zinc, aluminum will work as well. You can also change up the solution by using vinegar instead of salt water.